Here are some crazy popular myths about eating habits and fitness plans! When it comes to dieting and fitness, there is an abundance of myths and wrong notions. Most of the misunderstood facts about dietary strategies delude people to believe that their plan to stay fit will be hampered if they follow them. Recent researches have eliminated most of these silly myths about some of the normal eating habits. However, still a few of the ancient beliefs regarding dietary patterns exist to this day. Let’s go through some of those myths! Don’t feel guilty of midnight snacking. In contrary to what you might be accustomed to think, eating at night does not promote obesity. If you are on a strict diet to shed off a few pounds or even trying to maintain your fitness level, all you need to do is keep track of the total amount of calories you are consuming each day. If you are certain that your total calorie intake of the day is well within limits, having a midnight snack will never do anything to disturb your daily diet. Don’t be afraid that you might grow fat by indulging in small late night snacks; because the calories that you consume at night will be used up by your body in the morning. So aim at distributing your dietary regime in a way that you eat small proportions of food at regular intervals. This way, your stomach will stay full all the time and you will never get hunger pangs during the day. Hunger pangs can mean several things. They do not always mean that your body needs food. If you are mentally depressed or sleep deprived, your body sends some signals to your brain that make you feel like you are hungry. While, the main reason behind feeling hungry might just be a low intake of water, you end up eating a snack or two. If you are psychologically stressed, it is common for your stomach to rumble or feel empty. This due to the fact that eating food has a comforting effect on your mind. Instead of immediately reaching out for food, try drinking a glass of cold water. If after a few minutes, you still feel the hunger, go for some healthy food. People often mistakenly believe that losing fat is the most difficult process if you want to keep your body fit. However, survey shows that maintaining one’s toned up body after getting back into shape is much harder that that! Why? Because losing weight is just the start. The more important part is to keep that weight loss. And that is why they say, losing weight is a life time goal! 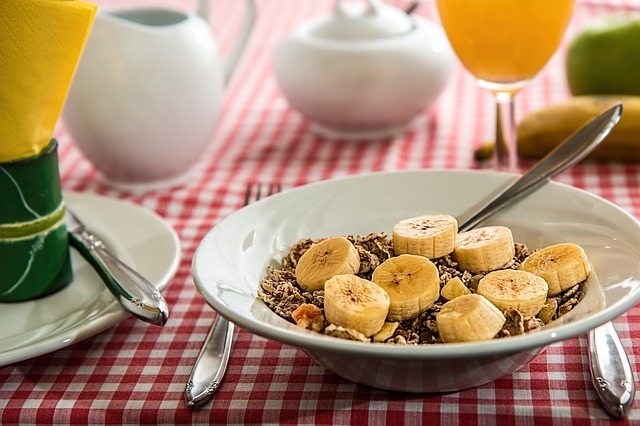 Once you have shed those extra pounds, you tend to relax your strict diet and go back to your old diet that you had before starting the fitness plan. You forget the fact that a leaner body requires lesser food to energize itself. Consuming the same amount of food that you used to consume before your weight loss plan makes you gain back double the amount of fat that you lost. Moreover, most of the hyped dietary plans involve cutting down on protein intake. This makes you lose muscle mass which in turn slows down your metabolism rate. So, as much you try and struggle to lose those extra pounds, you have to pay even more attention and be careful in dieting after you have lost weight. You don’t have to starve! But you have to be mindful of what you eat. Just because you have shed the extra pounds doesn’t mean you have the privilege to eat whatever you want. Exercising and working out on a daily basis can never be harmful for your body if you don’t overdo it. No matter where you read or heard it, exercising after you have gone back to shape does not cause fatigue. In fact, it keeps it away. It helps in managing your stress levels, inducing deep sleep and helps in keeping your muscles firm and strong. Exercise helps boost your mood and relieves yourself from stress. It also energizes you. If you are having time management problems due to working out at a stretch for about 45 minutes regularly, break it up. You don’t need to commit an extended workout session if you have a tight schedule. Just adjust your daily planner to include 10 minutes of workout at regular intervals throughout the day. The benefits will be the same as working out at a stretch. Are you familiar of any other dieting or fitness myths? Do share them in the comments! For long time I eat after midnight when I been younger and I get fat myself for now dinner is about 18h and that it nothing after that time. Thanks for bringing these myths to our attention. For example, I always thought that a midnight snack, no matter how low on calories it was, was a very big mistake and it seems that I was wrong. If you have more myths to destroy, please share them with us! Hi Jane, interesting to read the above. In fact the above are nice examples of myths we have about heath and fitness. We should be aware of the scientific ideology behind such myths. So many half truths, myths or outright lies on staying healthy and fit. Sometimes I just trust what works well for me. I monitor my weight and vital signs regularly. I usually know when I am stressed or when my cholesterol is up and take the necessary steps to counter this. Thank you for contributing to destroy some of the myths in fitness and eating. I always thought that a midnight snack, no matter how low on calories it was, was a very big mistake and it seems that I was wrong. I do agree with all your tips. Most especially on allowing yourself on getting hungry because you’re on a diet. Never ever sacrifice your own health because you are on a diet. Bring healthy snacks (fruits, oats or biscuits). Normally people have so many confusions and misconception about the diet they take, for example junk food is very very harmful for your health and you should only eat vegetables etc. But knowing these things in details is very necessary.